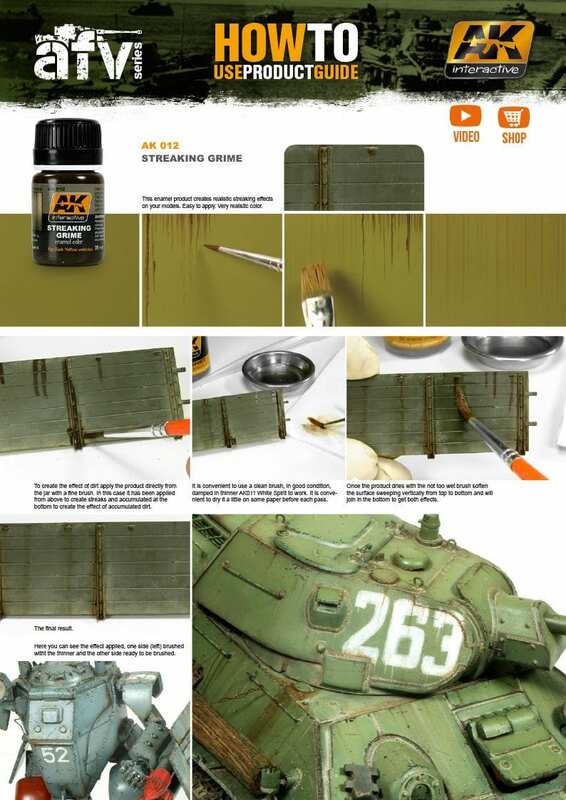 Buy the newest single weathering paints with the best sales and promotions. 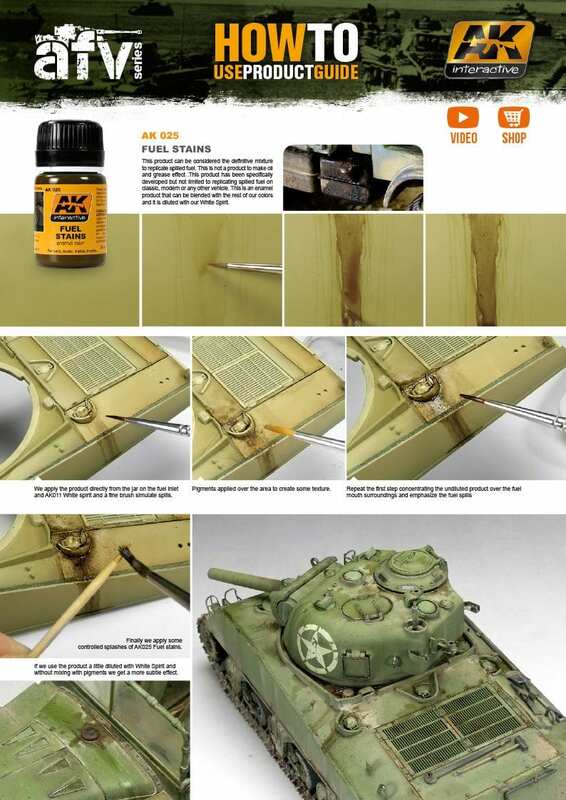 Find cheap offers for single weathering paints in our online store. 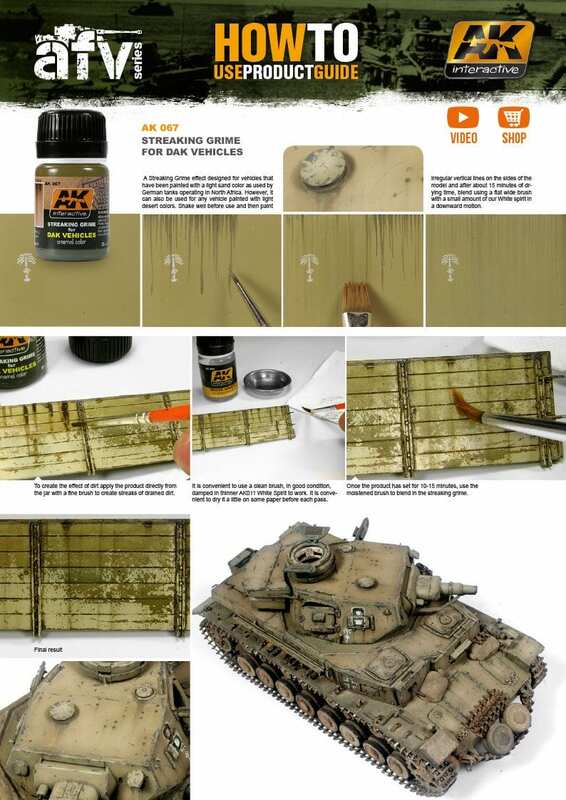 Create realistic dirt streaks and grime effects easily with this dirty color. 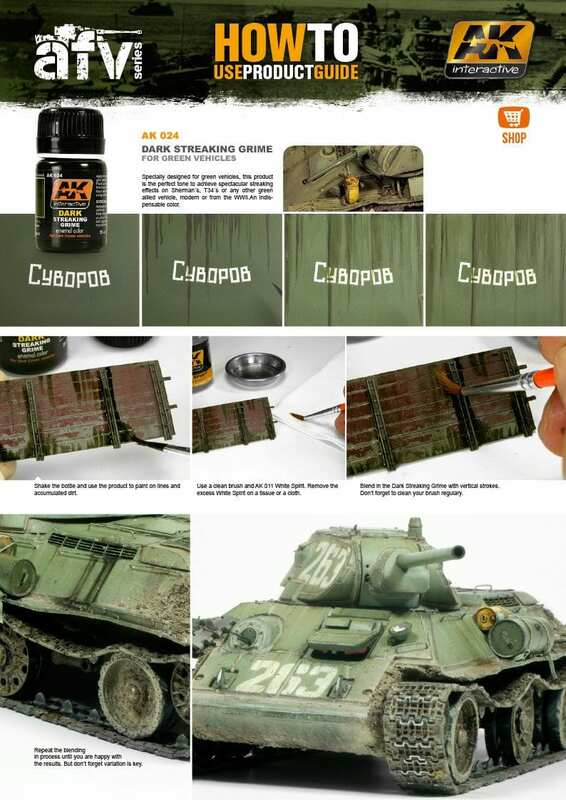 This enamel product creates realistic streaking grime effects on your models. Easy to apply. Very realistic coloristic color. 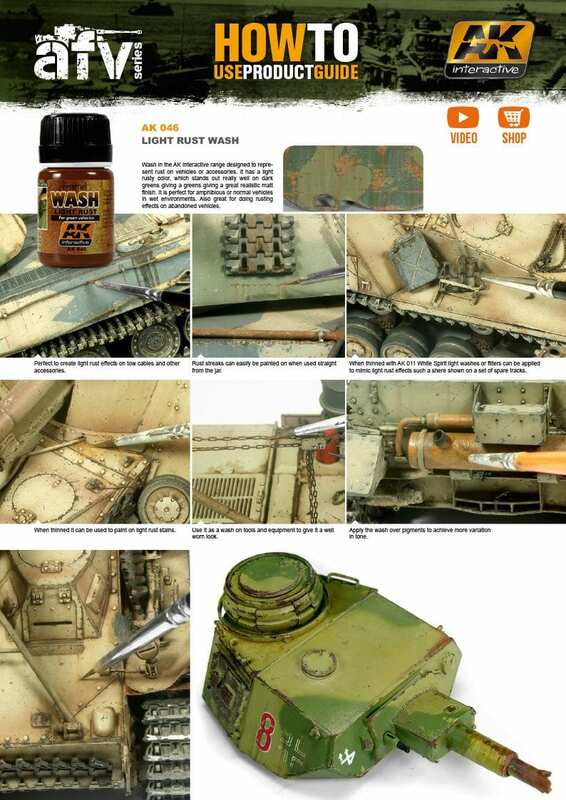 Rust and corrosion streaks and stains are easily produced using this reddish-brown color. 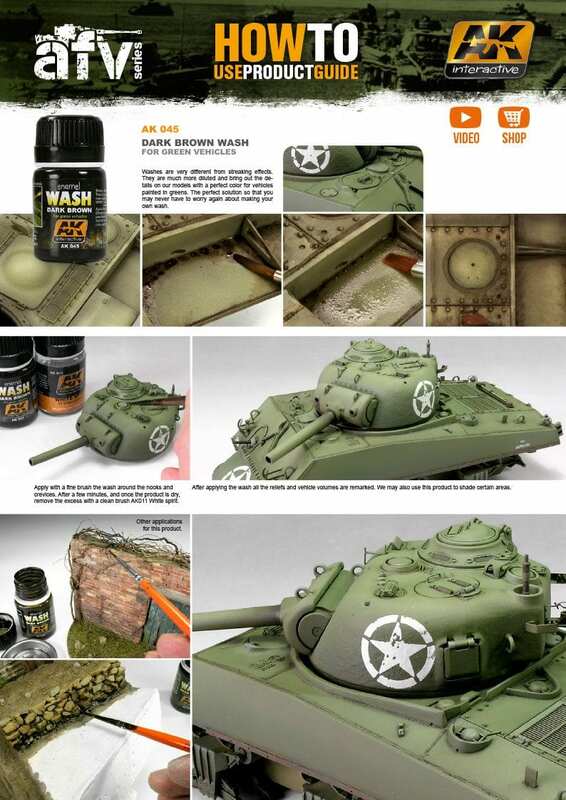 A product to replicate natural fresh mud. This Dark brown enamel effect is ideally suited for creating muddy surfaces. It can be also mix with plaster to create volume. 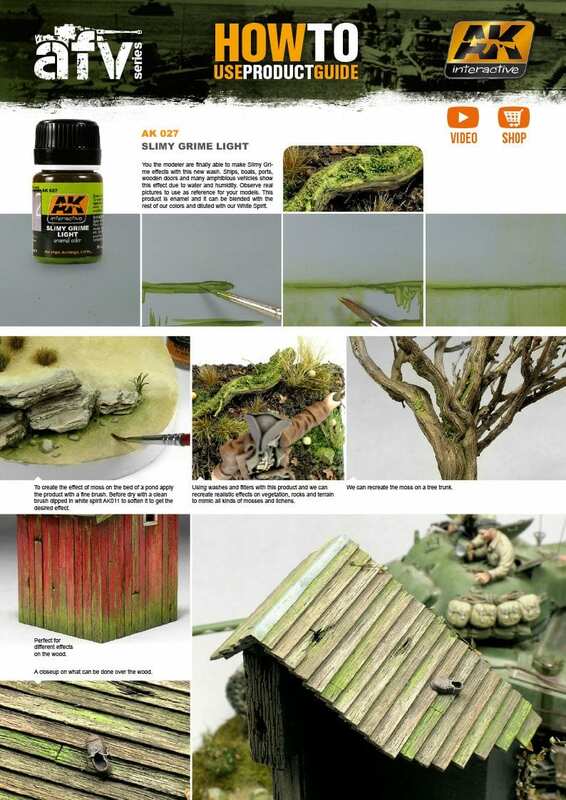 Apply with a brush or airbrush and then fade with a clean brush moist with Enamel Thinner. 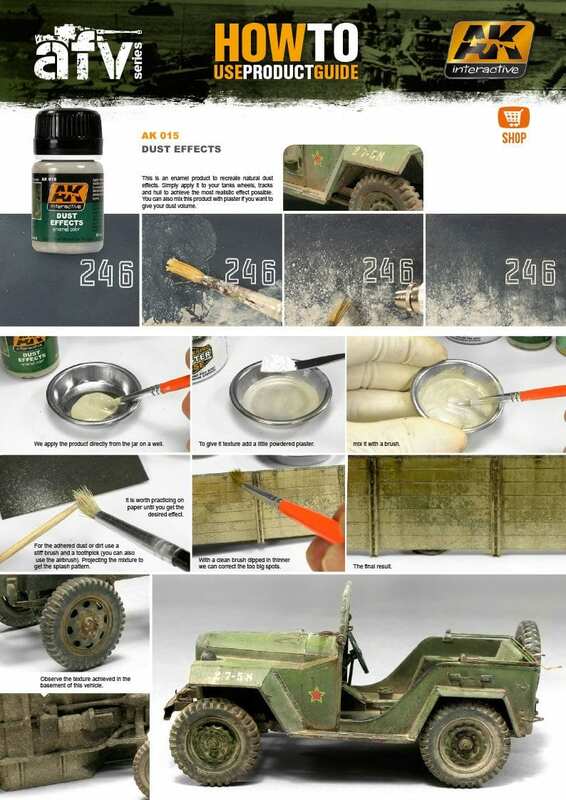 Just apply to your vehicle wheels, tracks and hull to achieve the most realistic effect. 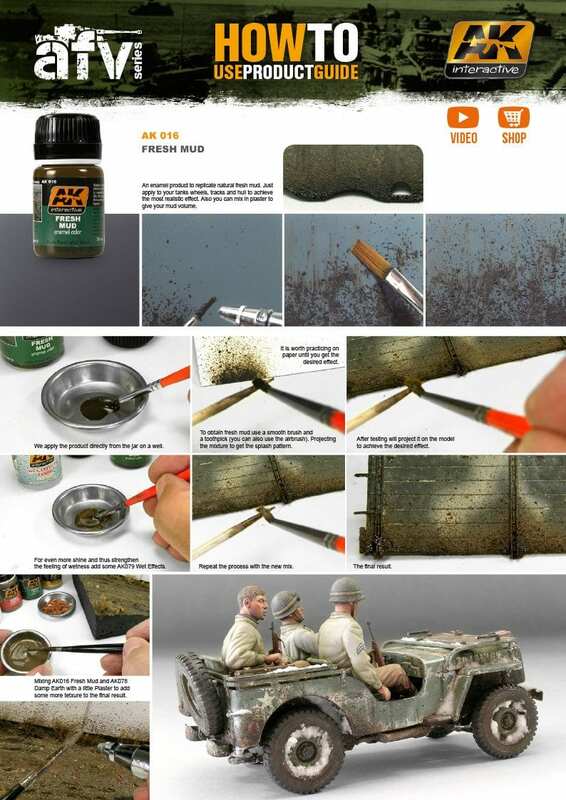 An enamel product to make natural earth and mud type effects. 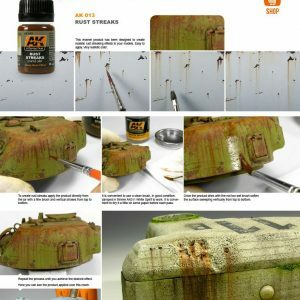 Just apply to your vehicle wheels, tracks and hull to achieve ultra realistic earth effects. You can also mix this product with plaster to make mud with volume. This product can be mixed with our other earth colors leading to unlimited possibilities of nature effects. 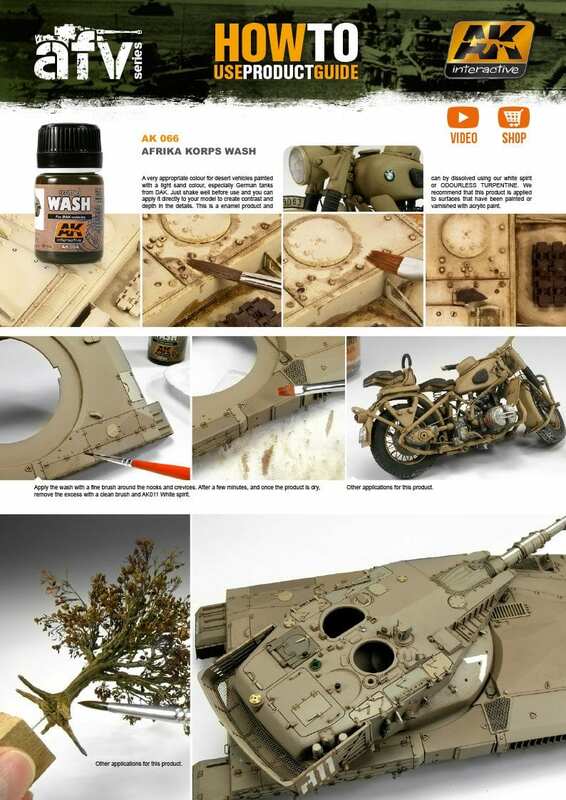 AFRICA DUST EFFECTS 35ml. 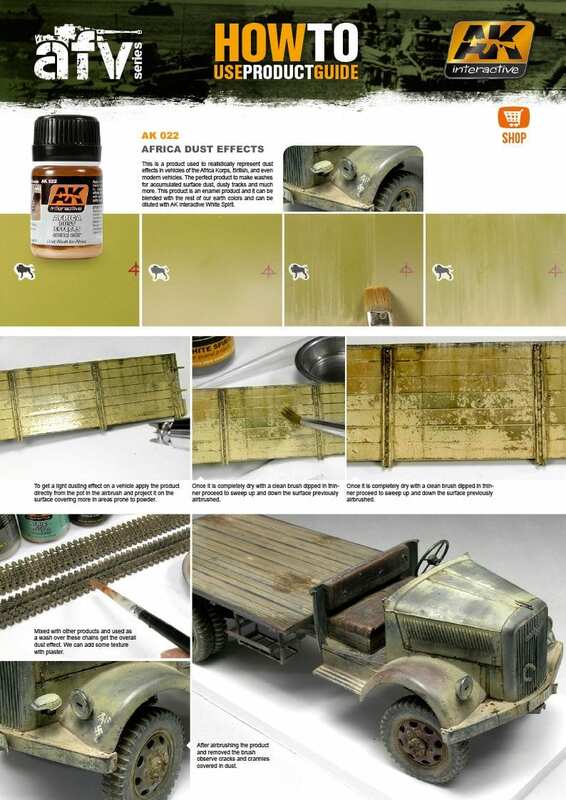 Realist color to make dust effects in vehicles of the Africa Korps, British or even modern. Light tan color is suited to creating dusty accumulations on surfaces. 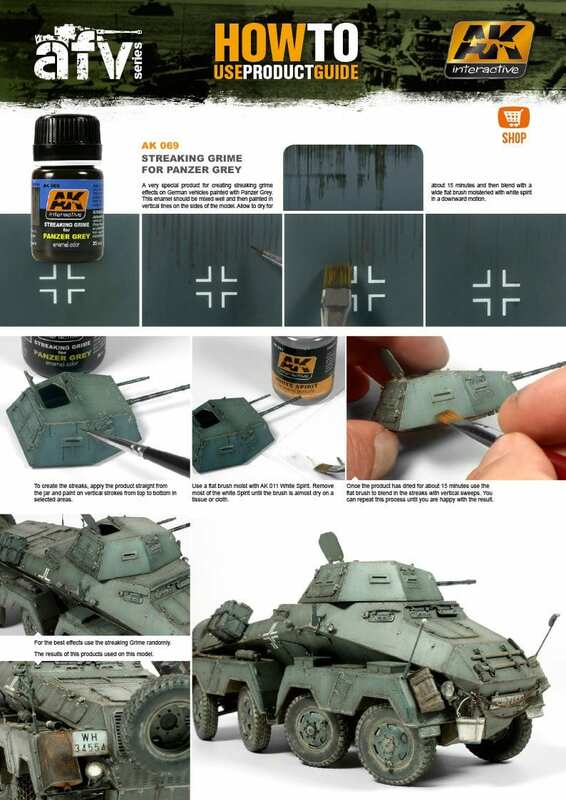 Apply with a brush or airbrush and then fade with a clean brush moist with Enamel Thinner. 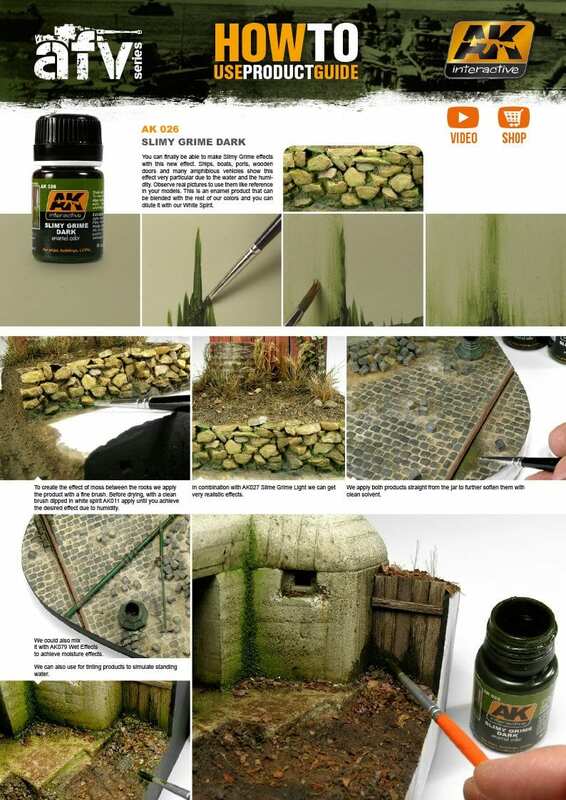 This dark earth colored effect can be used alone or mixed with other earth tones. 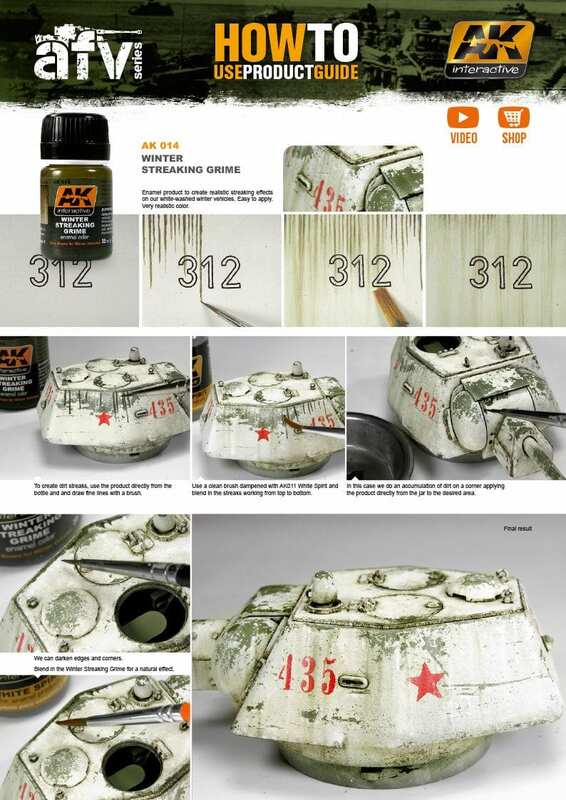 Apply and fade with a clean brush moist with Enamel Thinner. Make your own dark mud and earth accumulations mixing this color with plaster. The result is ultra-realist and is easy to get all kinds of effects. Also it can be applied directly on tracks, wheels or vehicle hulls. This product is enamel and it can be blended with the rest of our colors and it is diluted with our White Spirit. 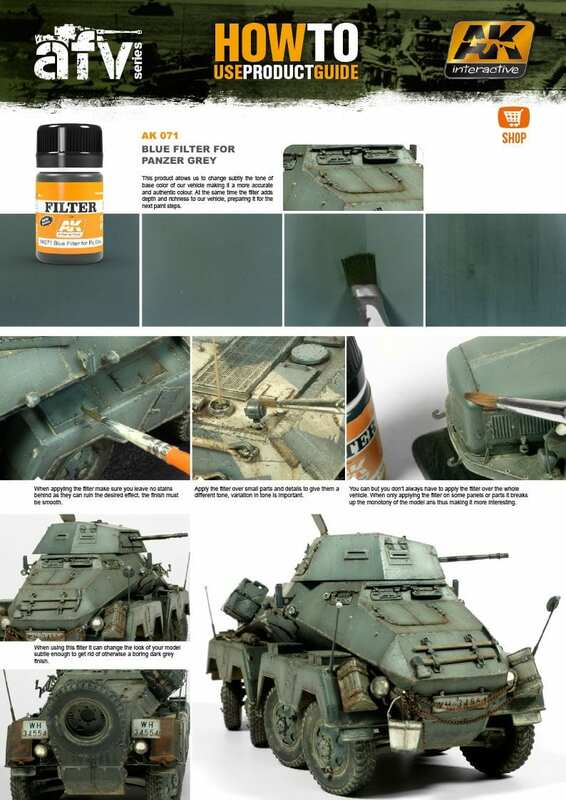 Filters are designed to achieve a subtle tonal variation for especially vehicles in monotone camouflage colors. Shake and apply directly from the bottle with a moist flat brush. This filter allows us to change subtly the tone of base color of our vehicles in light sand or desert tones making it more accurate and authentic color. At the same time, the filter adds depth and richness to our vehicle, preparing it for the next paint steps. 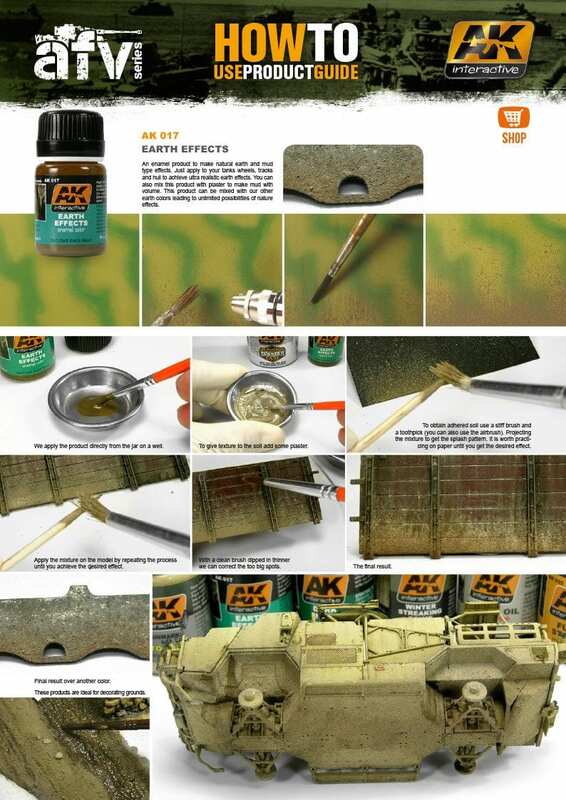 Use the filters by moistening a brush and applying it without flooding the surface, to enrich hues in your models, unify camouflage, or highlight areas with a different tone. With these products we will avoid mixing paints, looking for the correct dilution, or searching for the correct colors for our vehicle. These filters are enamel based and can be cleaned or diluted with Odorless Enamel Thinner. 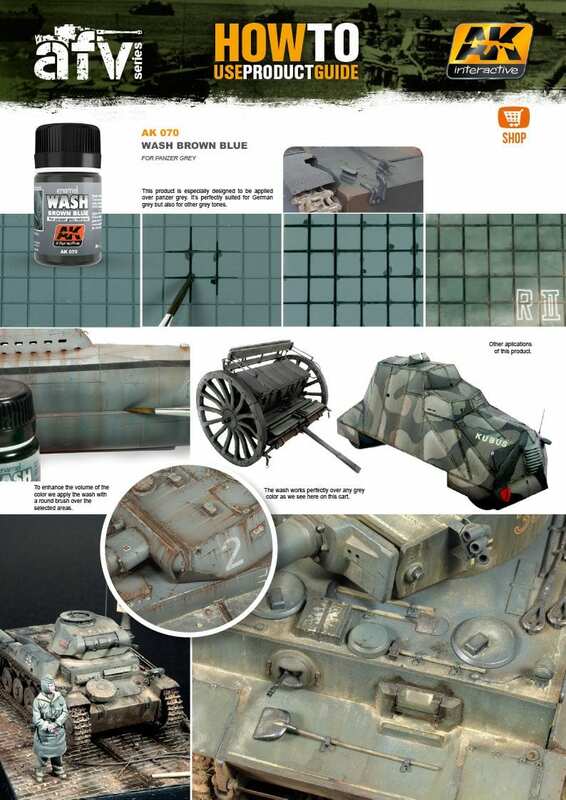 A very appropriate color for desert vehicles painted with a light sand color, especially German tanks from DAK. Filters are designed to achieve a subtle tonal variation for especially vehicles in monotone camouflage colors. Shake and apply directly from the bottle with a moist flat brush. . This filter allows us to change subtly the base tone of our vehicles in grey or panzer grey making it more accurate and authentic color. At the same time, the filter adds depth and richness to our vehicle, preparing it for the next paint steps. 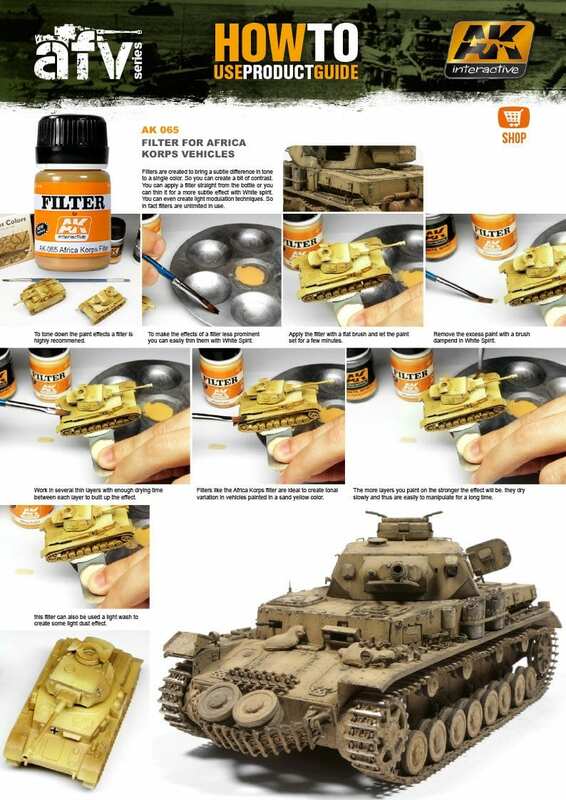 Use the filters by moistening a brush and applying it without flooding the surface, to enrich hues in your models, unify camouflage, or highlight areas with a different tone. With these products we will avoid mixing paints, looking for the correct dilution, or searching for the correct colors for our vehicle. These filters are enamel based and can be cleaned or diluted with Odorless Enamel Thinner.